Martinique produces the world's great Rums. Martinique old “agricole” Rums are the rarest of all eaux de vie. Indeed, at the end of the Second World War, there were 186 Rum distilleries in Martinique, today only 9 distilleries remain active, compared to the hundreds of Scotch Wiskey distilleries. 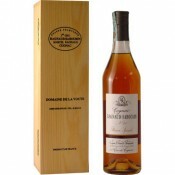 Martinique Rum is an outstanding eau de vie which received Appellation d'Origine Contrôlée status by means of a decree dated November, 6 1996, making it the first French overseas product ever to benefit from AOC grading. This is a very special old product called also "Hors d'âge", it is produced by Dillon distillery, founded in 1779 at Fort-de-France. One of the last Very Old AOC Martinique Rums. Martinique white rum is becoming scarcer every day and this Rum is a treasure indeed. Tasting: 45% vol. an amber and golden colour, a nose of candied orange zest, of salted butter caramel, a blend of spices and sugar. It combines strength and sweetness, amber and vanilla. In the mouth, a great freshness and a surprising fullness, fragrances of sweet spices with hints of incense and ginger, intimations of tobacco leaves and a lingering taste of cedar wood. 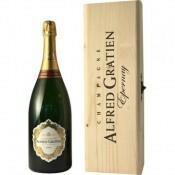 Presentation in 70 cl heavy bottle in a beautiful wooden box.